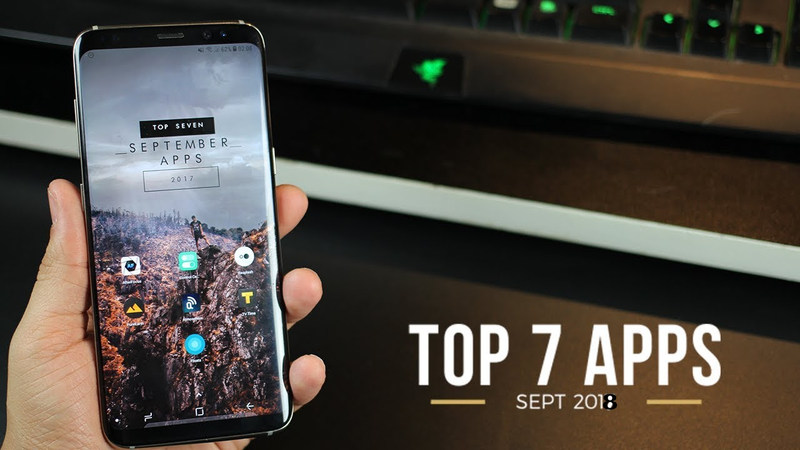 Alongside Sam Beckman, we discuss the top-7 breakthrough Android apps for month September and your guess? LastPass, PowerShade, YouTube Vanced, Musicana and the ShareDr app all make our list. With the month September winding down, its that moment of the year again when we bring your news of most breakthrough Android apps of the month. Today, with the help of our Youtube friend Sam Beckman, we discuss the top-rated Android apps month September and your guess? Google Pay Wallet owned by Google Inc came into being on September too! **The internet has really gone haywire** with regards to online security as news continues to emerge on compromised individual accounts and credit card details. Having an online password manager might, therefore, prove essential. The LastPass Android app might be just what you have been looking for. With multiple features that allow you to enter every of your account information ranging from credit card info to a total list of all the sites you login to - name Facebook, Instagram, et al. All you have to do install the LastPass app from the link above and proceed to enter all your passwords into the app. Next time you want to login, just remember the one master password you used for your LastPass account and Boom! the rest is history. You can also use fingerprint security to secure your LastPass account. Heck! who likes the default Android launcher Notification drop-down. Power Shade app, therefore, allows you to manually change your notification shade panel to something amazing and quite futuristic. The app also grants you access to customize every notification panel aspect that you can see - say change colour and font type for each icon. Definitely one worth checking out! The Android Lawnchair V2 app is unarguably one to download with awesome-packed features. With its massive list of customization and features, you get to set up range of different custom gesture. A clear bet to your current smartphone launcher? Youtube no doubt has been in an upward trajectory since its inception and the Youtube Vanced app might just seem to be the finish line. The Youtube Vanced Android app is an amazing alternative to the normal Youtube app with feature-packed attributes too. However, you will need to get a support MicroG Apk app which will enable you to login into your Youtube account. Spotify, Apple music player, et al are just one of the many musics streaming platforms individuals go to for music streaming each day. The Musicana Music player seems to be quite a competitor and definitely worth checking out. It works well as a standalone music player to enjoy all your local songs. The app also features an online music streaming player, you get to check out the top trending music from massive streaming services like Spotify, top of the Billboards and even iTunes. You also get the search capability to voice or text-search your favourite songs. With its sleek interface feature and an additional lyric finder, the Musicana Music player definitely possesses a big threat to the "Big Boys" up there. ShareDr Android app as the name might be pronounced, might just be another sharing app to you. But hell no! You are in for a threat. You get to pin your favourite share apps at the top so as to easily navigate your favourite share apps. The app also comes with an inbuilt URL shortener, which you might try out and generally a simple app to use. So, that was our clue for the top app releases for the month of September. Let us know the one app you will be checking out on your Android device today.